Mansa Musa I, the richest man in history, had a personal net worth of $400 Billion at the period of his death in 1331. 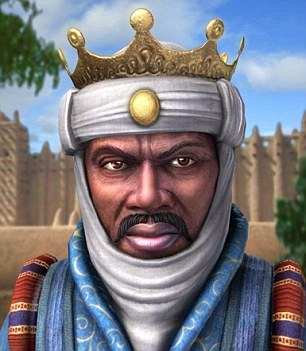 Born in 1280, he commanded West Africa’s Malian Empire which included present day Ghana, Timbuktu and Mali. His nation’s stock of more than half the planet’s collection of salt and gold added to Musa’s enormous fortune, which he used to establish great mosques that still remain to this day. According to specific writings of Arab-Egyptian scholar Al-Umari, Musa acquired his throne through a practice of choosing a deputy after the monarch goes on his journey to Mecca; later selecting the deputy as heir. Musa was selected deputy of the king before him, who had reportedly set out on an expedition to explore the limits of the Atlantic ocean, and never reappeared. Only two generations after his death, however, Musa’s life record net worth was lessened after is heirs were not equipped to fend off civil conflict and invading conquerors.